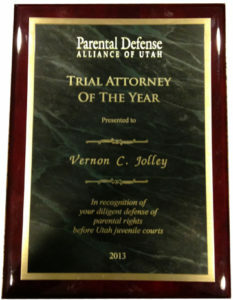 Named the 2013 Trial Attorney of the Year by the Parental Defense Alliance of Utah, Vernon Jolley has more than 30 years experience as a legal professional. 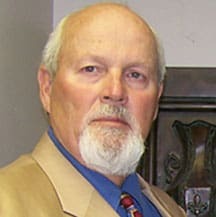 He is an accomplished trial attorney who is admitted to practice in the states of Utah and California and before various federal district courts, the Ninth Circuit Court of Appeals, the Tenth Circuit Court of Appeals and the United States Supreme Court in Washington D.C.
Vernon has helped thousands of clients in many areas of the law, including civil/business litigation, contract law, personal injury and family law. He is deeply committed to the cause of Fathers Rights and helping good fathers maintain and active and involved role in their children’s lives. In addition to logging more hours in the courtroom in a year than most attorneys log in their entire legal careers, Vernon also logs many hours on the racetrack where he pushes the limits of his Factory Five AC Cobra that he built from the ground up. Click on the picture below to take a ride in Vernon’s Cobra on a recent run on the SCCA racing circuit. 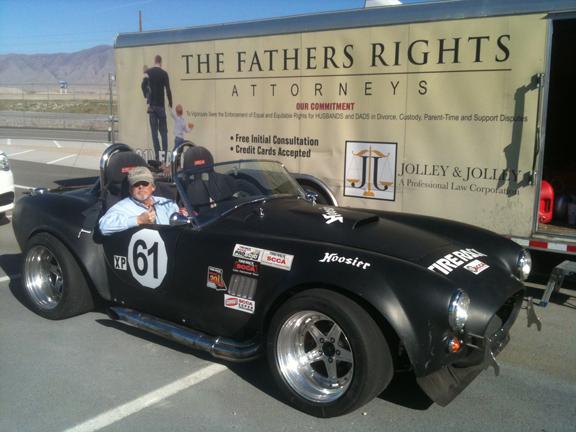 To Schedule a FREE Consultation with Jolley and Jolley, Call 801-FATHERS Today! Copyright © 2018 - Jolley & Jolley, A Professional Law Corporation. All Rights Reserved.